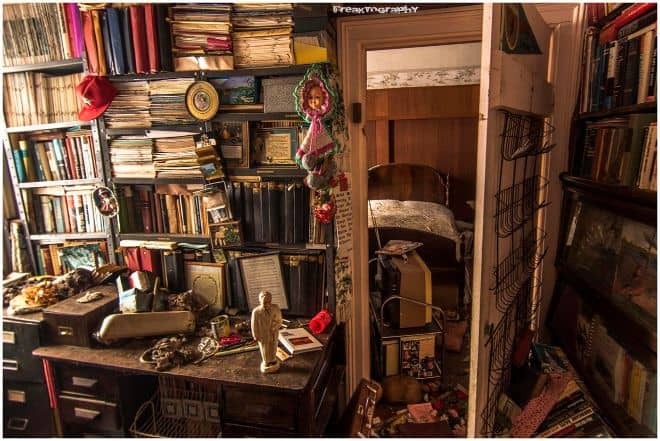 This house had been empty since the 1950s and what was found inside... Simply phenomenal! 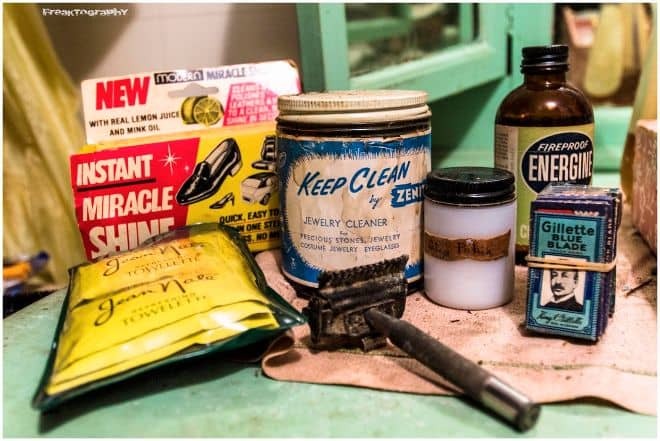 This house had been empty since the 1950s and what was found inside… Simply phenomenal! 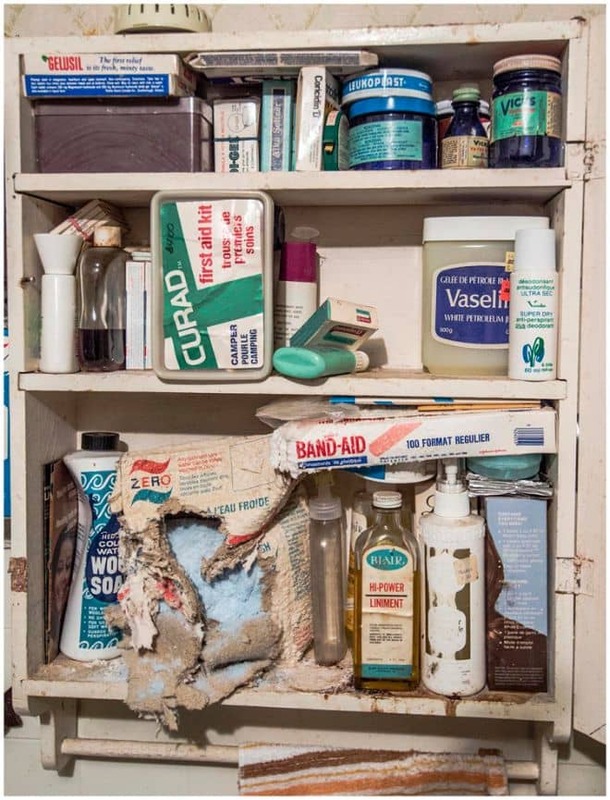 You can clearly see it’s been a long time since the stuff inside of this cabinet has last been used or touched. And what happened to that box on the bottom shelf? Mice? In any case, it’s fun to see what these people used back in the day. Fun detail: most of the brands found inside the cabinet still exist nowadays. That’s pretty cool, right? 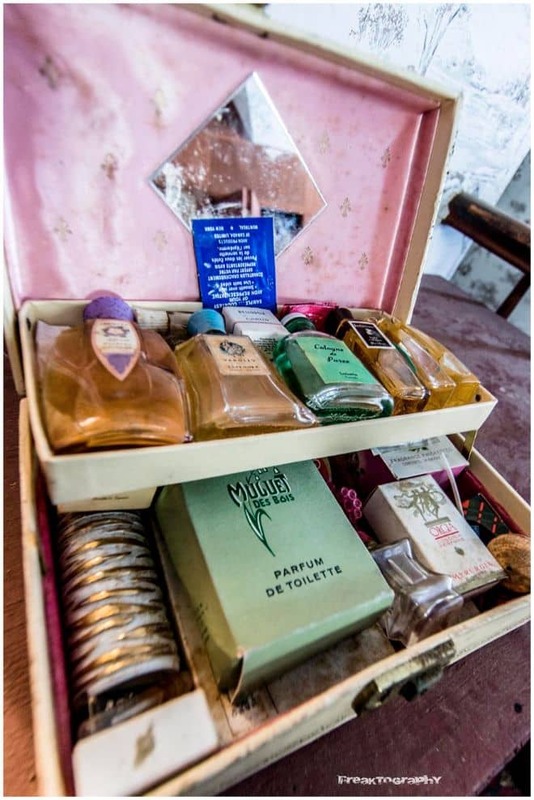 The urban explored also found a collection of very old perfume. We wonder what these smell like! We also wonder why these people left all of their things behind. What happened in this house? Why has no one come in here since the 1950s? It’s a true mystery! Upstairs, every room was filled with piles and piles of books. There are books on addiction, Jesus, and war as well as a ton of old newspapers and magazines. What a collection! Have all those books been read, do you think? Why did they collect them? We’ve got so many questions! Go to the next page for more pictures!